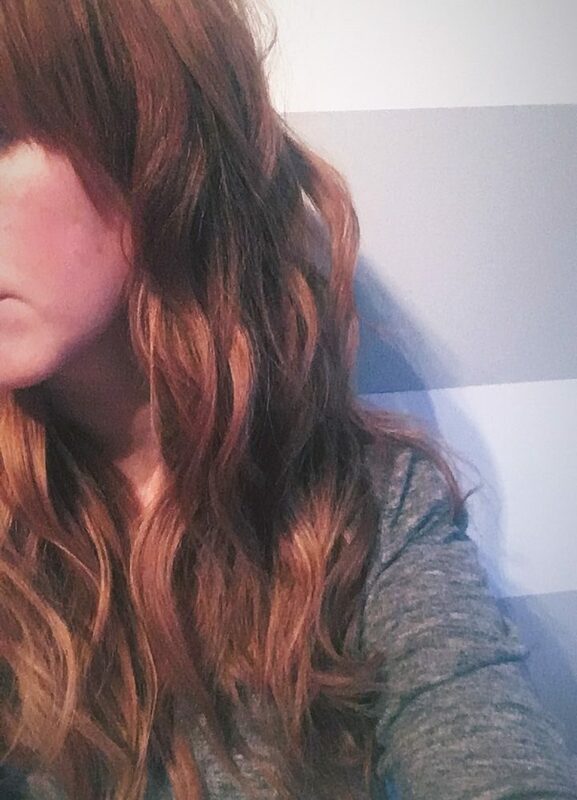 I love a beachy wave! Even if the snow continues till May… I’m feeling summer so I’m going beachy with my hair! Effortless, dreamy beach hair is easier said than done if you’ve thick frizzy hair like me. We imagine this style is achieved by spritzing damp hair with a sea salt spray and leaving to dry naturally… this may be the case for some of you but sadly, not me! Small sections and alternating directions is what creates the beachy look so take your time and work through all the hair – don’t give up!! So yeah, super quick and super easy!!!!!!!! Obviously not! Undone hair is always harder to achieve than you’d think! But it is doable and the great thing about this look is it doest have to be perfect.